Wait, So Oreo Doesn't Think Adults Should Twist And Dunk? What is an Oreo if not to twist and dunk and enjoy with milk? Some of you may twist and lick and dunk, or some of you may just dunk the entire cookie. Or hey, there are probably people out there who skip the whole process of milk enjoyment all together. We’re not judging. But apparently the brand behind ‘America’s Favorite Cookie’ is. In announcing their new line of ‘sophisticated’ cookies, Oreo claims that the new thin cookies are designed for adults, therefore not to be twisted open or dunked. Excuse me?! Don’t worry, we’ll still have our options of Oreos on the shelf, whether it be Double Stuf or Inside Outs or Specialty Flavors—you know the ones like Halloween Oreos, or Birthday Cake Oreos or Mint Oreos or even Ramen Oreos (yes, that’s a thing that I wish I was making up). But now, heading to the shelf will also be a line of Oreos for ‘sophisticated’ grown-ups, and they are not meant to be twisted and/or dunked. Mondelez International Inc (the company behind the Oreo brand) is adding “Oreo Thins” to shelves in the U.S. next week, a cookie that looks exactly like an Oreo, except much slimmer. In speaking with Associated Press the cookie company explained that Oreos cookies were not designed for that specific technique of eating, despite more than half of their customers do actually pull apart regular Oreos before eating them. Senior director of Oreo for North America, Janda Lukin said, “If people want to do that, it’s clearly up to them,” but these new Oreos are much fancier, comparing them to crepes while regular Oreos would be mere pancakes. She added that they are for adults. The Oreo Thins will have fewer calories, but apparently aren’t meant to be a diet snack. Though naming a cookie “Thin” may be a sly way to appeal to those who want a sweet treat minus the dessert guilt. Oreo Thins were first rolled out last year in China and apparently won back some “lapsed users” who wanted a less rich version of the cookie. Within the first eight months, the thinner Oreos are said to have generated $40 million in sales in China, so we’ll have to see if the trend catches on in good ol’ America. 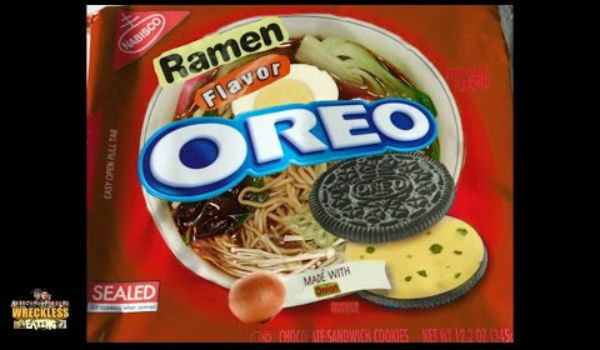 But if holding the title of ‘America’s Favorite’ comes along with twisting and dunking, Oreo may be out luck on this one.